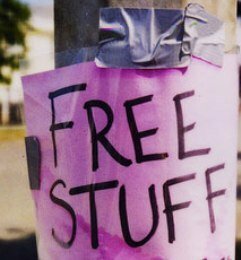 In this tough Obamaconomy, I love telling you–my readers and friends–about free stuff. Every little bit of savings helps. And if you are like me and get migraines or just plain bad headaches, go to this link at CVS’ website and quickly print out your coupon for a FREE package of Advil Migraine with 20 liquid-filled capsules. It’s a value of $5.49. HURRY, though. As I write this, you only have another 15 hours and eight minutes to print out the coupon, as the deal to print it out ends at Midnight Eastern Time, tonight. Plus the site says that there are only a “limited” number of coupons, so go to the site now. 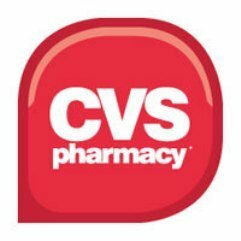 The coupon is only valid today and tomorrow (as it expires on December 19th) at CVS stores. Also, in the small print, it states that you must have a CVS ExtraCare card (which is free and you can sign up at the store if you don’t have one to instantly get the savings on the coupon) in order to redeem the coupon savings. I recommend going to the store to redeem it pronto because with a free deal like this, they’ll quickly run out. The coupon does not say “no rainchecks,” so if your local CVS has run out, be sure to ask for a raincheck. I typically use Aleve liquigels for my migraines, but I’ve printed out my coupon and will try this product. Thank you. I wish they had a CVS Pharmacy in my area. This is a valuable offer, because the way things are going in this country people are going to get more and more headaches. Hmmm. when I try that link I am offered 50% off of Cascade. Too bad one isn’t in my area! I buy a year’s supply of aspirin to stay alive. If not my artery narrows again and I get painful cramps in my legs. Not fun! A few years ago I got high deductible insurance and put the high deductible into a health savings account (this was cheaper than buying a low deductible plan)… I could use the HSA account to pay for doctor visits and various pharmacy over-the-counter items like antibacterial ointments, bandaids, pain relievers, etc. Meanwhile, while unemployed, although my family fit easily within the guidelines for the “family care” medicaid program, I personally was disqualified cause my whopping $400/week of unemployment income was “counted differently” than if I had a job that paid $400/week…the wife and kids were covered, just not me. And no food stamps either, because although I was losing over $1,000/month paying rent vs. unemployment income, if I kept more than $100 in my account to pay something towards rent, I didn’t “qualify” for food stamps. We were basically told that the way to get all the benefits and entitlements is to lie about not having any bank accounts, lie about doing any kind of “side work” or consulting/day labor, etc. etc. The whole system is a scam– the county welfare office is full of non-English speaking foreigners– including the employees there… although many signs and forms say you must be a US citizen for benefits, there were “hidden” programs available to non-citizens… none of these programs is really for helping someone who is temporarily unemployed- they are vote buying scams funded by the national sucker– the taxpayer. Debbie, where I am in New York, NY, the only drug store in community is Duane Read, CVS is about a few miles from where I live. My mother on a few to some occasions gets headaches & migraines, and she typically gets her prescription drugs from Duane Read. I always buy generic ibuprofen. It’s identical to Advil and usually a couple of bucks cheaper. Hello, I would like to subscribe for this blog to get latest updates, so where can i do it please help out.